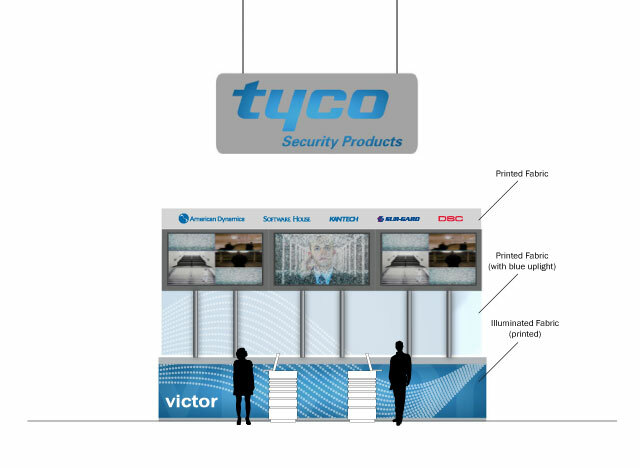 Graphic concepts for the game area in Tyco’s trade show booth. 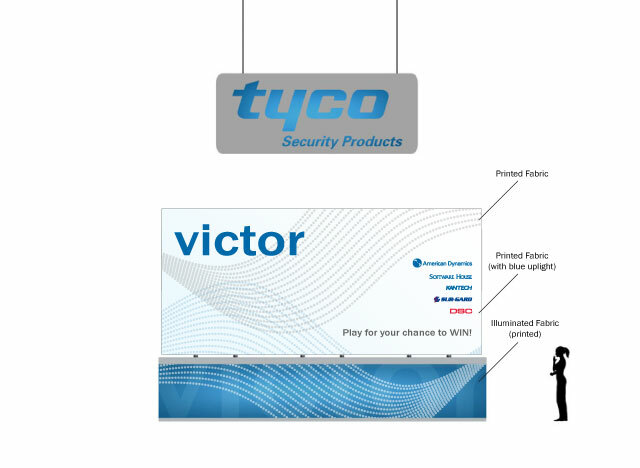 Create graphic solutions in the game kiosk area of the booth to draw attendees’ attention. Used printed fabric in both sheer and opaque weights to create a unique visual.